The Eastern Caribbean Central Bank (the Bank) is one of four multi-state central banks in the world and serves eight countries in the Eastern Caribbean Currency Union (ECCU).1 The Bank recognises that corporate governance is critical to achieving its mandate, and maintaining its credibility and image as a model regional and international institution. This Charter summarises the corporate governance policies and practices of the Bank. 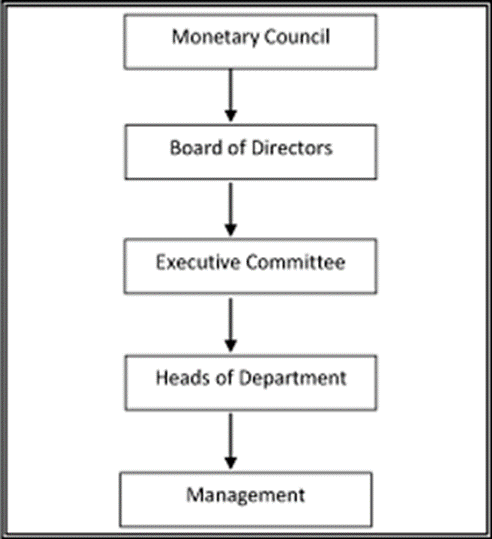 The Bank’s corporate governance framework reflects current best practices, and incorporates the requirements of the Eastern Caribbean Central Bank Agreement Act, 1983 (the Agreement) and takes cognizance of the Corporate Governance Principles for the Organisation of Eastern Caribbean States (OECS). It takes into account the legal and regulatory framework of the ECCU member countries and is updated to keep abreast of changes in local and international practices.